The Begonia is a flower that combines rustic and delicate features, and excellent for making internal decorations or simply decorate the garden. The plant has the scientific name of Begonia elatior, may be popularly known as Azedinha the swamp or garden Begonia, belonging to Begoniácea family, which gives it a more bulbous stem. 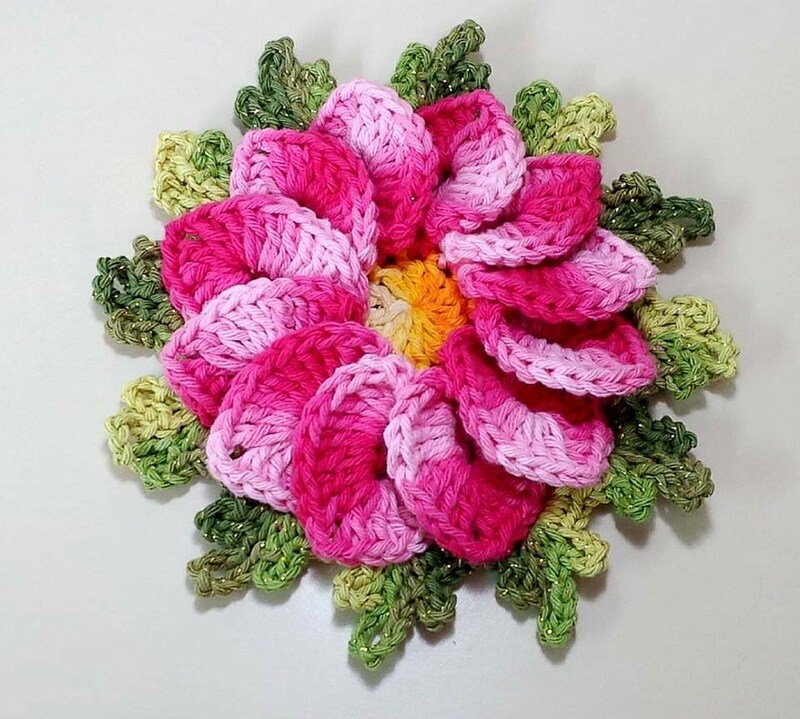 Bringing this enormous wealth to crochet it is not just a flower it is one of the most popular. Begonia flower out of gardens to decorate our house. The most popular colors are: yellow, pink, red, white and salmon. They do not reach a very large and are easy patterns. They convey the meaning of happiness, kindness and warmth, which makes the Begonia flower an ideal gift for colleagues and friends. and make 23 more high points, totaling 24 high points. Tailpiece with a slip stitch and cut the thread. make three streams and fill the circle with 12 high points 2 little chains plus 12 high points total of 24 high points within the circle of little chains as shown in the picture. then do a low point at the top next item on the basis of career and make 11 more little chains and repeat the same process until the end of basic points.Totaling 24 petals and its Begonia Flower is Ready to be applied to carpets, cushion covers among other works.